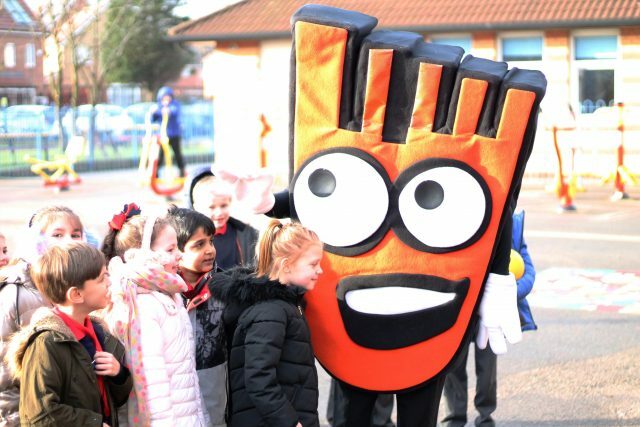 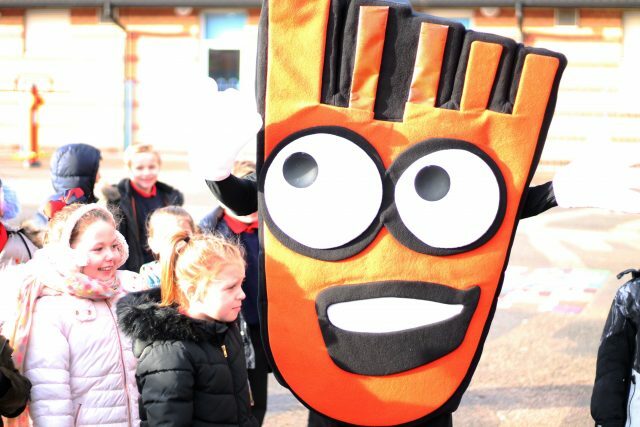 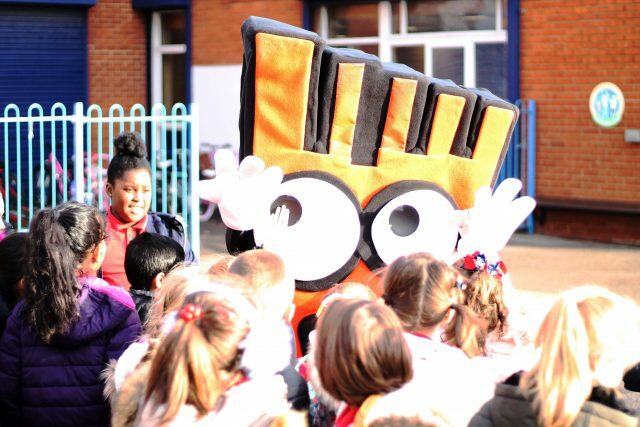 Today, the Travel Tracker mascot visited our school and ran around the school yard with the children. 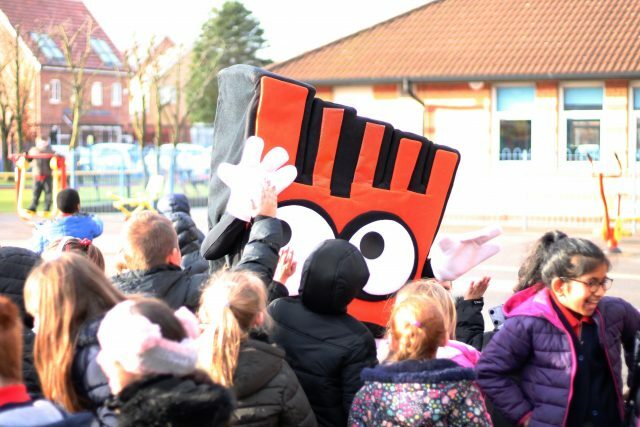 Travel Tracker have one ambition: that every child that can, walks to school. The children have been receiving lots of awesome prizes for their efforts over the last couple of months, with one whole class winning a game of Twister each, and one lucky child winning an iPad!